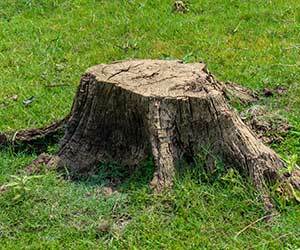 There are many reasons to have a tree or stump removed from your property including creating new space, removing diseased and dying trees, unsightly stumps can be a hazard as well as an eye sore, planting new trees, trees threatening to damage property and so on. We have removed trees and stumps from all types of properties including homes, apartment buildings, commercial property, industrial parks and government land for all types of reasons and know the obstacles that come with a tree removal job. Getting the job done right and making sure that your property is cleared properly of all tree, stump and root issues is what we do on a regular basis. If you need a tree or trees removed from your property Kings Tree Service is here to help!